At Balta Design, we have been offering high-quality website design in South Elgin for over a decade. When we started, the goal was to create appealing websites for local businesses at reasonable prices. As word got out about our website design services, we began to attract more businesses and needed to offer more services such as Search Engine Optimization and Pay Per Click. Today we are known all over the St. Charles area and beyond with client work completed in over 25 different states. If you would like to know more about our website design services in South Elgin or if you are interested in our digital marketing campaigns, give us a call today at 630-492-0147. You can also get in contact with us by clicking on the “Request a Quote” tab located on this page and we will return your inquiry as soon as possible. In today’s digital world, you need a website for your business. It’s how your potential customers are searching for their products and services through a plethora of devices. Without a website, you are missing out on a lot of potential clients. If you have a website and it’s not responsive, you are missing out on a good percentage of online users and aren’t taking advantage of a search engine ranking opportunity that can help boost your website’s visibility. The team here at Balta Design is dedicated and passionate about creating sharp websites that will help your business stand out. We make sure your marketing message is well received and your brand is consistently displayed on your site for easy recognition. 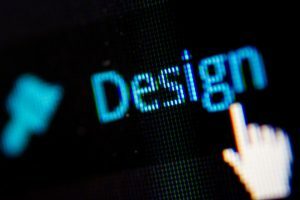 To learn more about our affordable website design services in South Elgin or if you have any questions about our other services, call us today at 630-492-0147. Or simply click on the “Request a Quote” tab on this page and we will respond shortly.